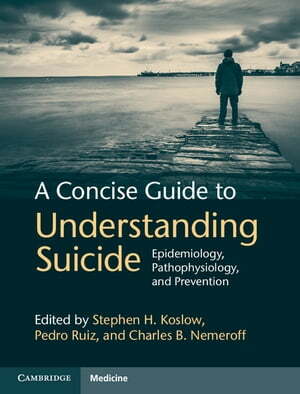 Collins Booksellers - A Concise Guide to Understanding Suicide by Stephen H. Koslow, Pedro Ruiz & Charles B. Nemeroff, 9781139985499. Buy this book online. Suicide rates continue to increase globally. The volume of research in this field has also expanded rapidly. In A Concise Guide to Understanding Suicide, leading researchers and clinicians provide a concise review of recent literature, report solutions achieved and give practical guidance for patient care to aid understanding and help prevent suicide. Each chapter is highly focused to provide pertinent information covering all major aspects of the field, from epidemiology and theories of causation through to treatment and prevention. This text will educate practising clinicians (psychologists, psychiatrists, nurses, counsellors, and emergency room personnel) and other health care workers and researchers, as well as providing a pathway for undergraduate and graduate students interested in furthering their understanding of the complexities surrounding suicide. Further, mental health professionals and those in the social sciences will be extremely interested in this monograph, as will the University community, armed forces and interested lay public.